Ok, now it’s a light novel book title. But it is an oral history. Or something. In audio, in any case. Audio all about PlayStation Three and above. The games, the systems, more about the games, questions about things. I’m pretty sure that you now know what you are getting into. If not, well, good luck! Hey we all know what you were scrolling down to see! Those Time Cues, am I right? By the Twelve that was a lot of games. 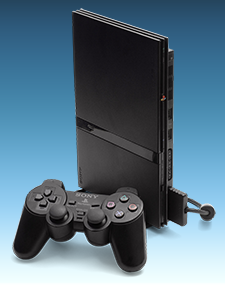 We continue on our journey throughout all of PlayStation,.focusing this time on the Sony PlayStation 2. We talk about the system, it’s games, and some more about it’s games. It’s a nostalgic action-packed episode that the whole family can enjoy! As long as they can enjoy some folks talking about the PlayStation 2 for a couple of hours, anyway. But to not leave all our Realm Reborn buddies in the lurch, we also talk about the latest holiday event in Final Fantasy XIV: A Realm Reborn. Which should be ending any day now. Well… How about that. As it turns out, there has now been twenty years of PlayStation. So we decided to talk about those twenty years on the OSMcast! 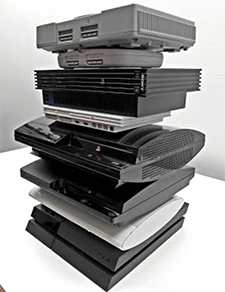 But as it turns out, there was a lot, a LOT to talk about just about the first PlayStation! 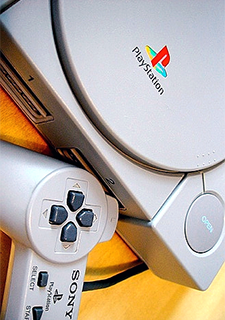 So listen on as we intend to talk about all of the PlayStation, then instead only talk about the first of PlayStation. That said, we had a ton to say. We talk about the system itself, where it came from, and all the games we enjoyed on it throughout the years. Turns out, there were a lot of games! Let’s not mince words here. Because here comes a whole lot of them: Time Cues! Phew! And yes, of course we then remembered even more games after we had packed up for the night. But worry not! We have a few more PlayStation systems left to go!